Where Can You Sell a Patch? » Embroidery Talk Has Moved! Where Can You Sell a Patch? 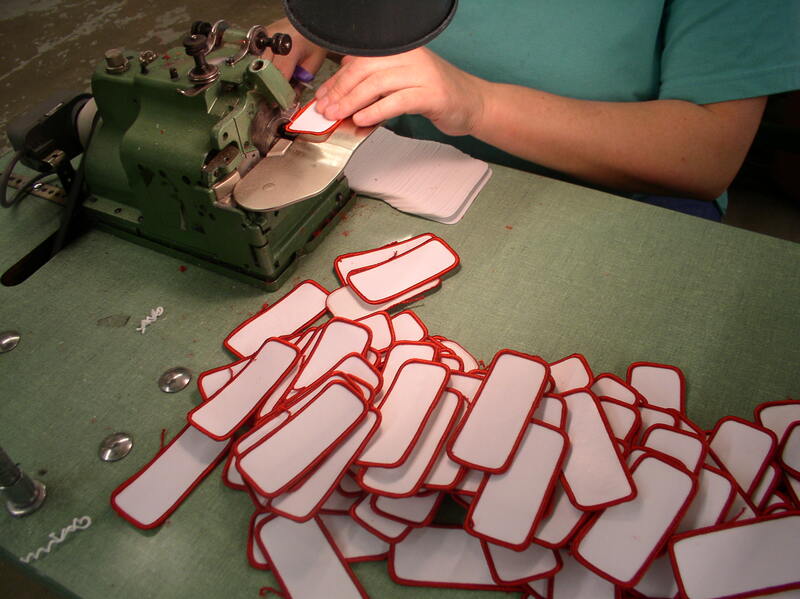 Most people probably know by now that EnMart sells blank patches at very reasonable prices. Our turn around times and size and color options are among the best in the industry and, unlike some other patch manufacturers, our patches are 100% polyester, which makes them ideal for sublimation as well as embroidery. Many people know about our patches, but they may not be sure where they could sell those patches in their area. Today I thought I’d make a few suggestions about places to find potential patch customers. One group that is always in the market for patches is motorcycle clubs. From patches identifying club members, to patches commemorating a particular rally or ride, motorcycle clubs can always find a use for a new patch. These groups also tend to buy bigger patches, and unique patch shapes like rockers. Another good market for patches is day camps or sleep away camps. They may have a unique badge to commemorate each session of camp, or they may offer a reward badge to campers who complete a specific task. Almost any group or club connected with children may have a use for a unique or specific patch. 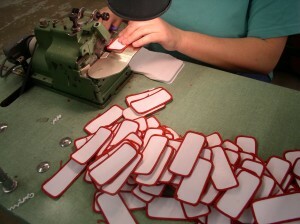 Any business that makes it a practice to identify its staff is also a good market for patches. From mechanics to restaurant employees to security staff, there are a wide variety of occupations that call for identification as part of their uniforms. Whether it’s a name patch, a badge that identifies their function, or something that simply identifies the business for which the employee works, local businesses are often great customers for patches, and many will buy additional items as well. Schools are another good place to find patch customers. From the football team to the Glee Club to general school spirit, schools are a great place to sell a wide variety of patches. Students like to show their allegiance to their particular clubs or teams, and schools like their students to show school spirit by decorating their jackets or backpacks with school related patches. When looking at ways to sell patches, you should also keep in mind that EnMart’s blank patches are 100% polyester which means they are not only ideal for embroidery, but for sublimation as well. If you encounter a design that is too complicated or contains to many colors to be suitable for embroidery, you always have the option, provided you have a sublimation system, of sublimating the patches instead. Buying blanks from EnMart not only is easy on your budget, it also equips you with more decoration options and thus more avenues for selling the patches you create. This entry was posted on Monday, October 25th, 2010 at 12:50 pm and is filed under Patches/Emblems. You can follow any responses to this entry through the RSS 2.0 feed. Both comments and pings are currently closed. You are here : Home » Where Can You Sell a Patch?